Home The Froggblog Leapfrogg MasterChef 2011..yummy! As you may have seen from the Skydive post or heard on the twitter grapevine Leapfrogg embarked on a company MasterChef back in June, raising money for Rockinghorse Children’s charity. We obviously thought it would be a really awful thing to have to do, eating delicious, sometimes very indulgent food, every Friday for many weeks, but we took up the challenge even though we don’t enjoy eating at all!!! I am sure you want to know how we organised it so you can do your own at home or in the office, so here goes. Nick Dodd put together a well thought out MasterChef table (branded and colour coded of course) and the pairs going head to head in the first round were revealed. Each week it swapped from savoury and sweet dishes, to sample the treats we had to pay two pounds each (one pound per dish). I can’t even describe the excitement that MasterChef bought to the office, not only was it a great way to raise money for charity but it bought us all together as a company, every week, to fill our greedy bellies. So without further ado I would like to share some mouth-watering photos with you from the past five and a half months right through to the grand finale between our web optimisation team Suzanne Taylor and Ben Adam. 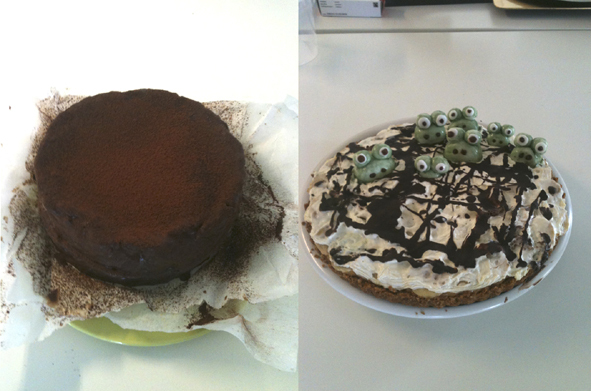 First round saw Amelia’s scrumptious chocolate fudge cake and Aliki’s yummy banoffee froggy pie. 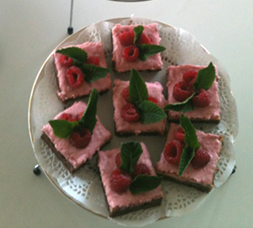 My pretty raspberry cheesecake brownies. 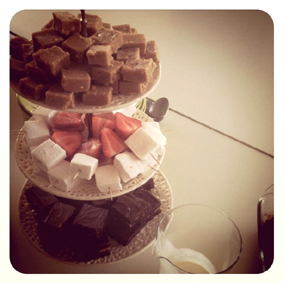 Rosie’s impressive homemade peanut butter fudge, marshmallow with strawberry’s and chocolate tiffin, you can see presentation was key! I needed to share this one before I announce the overall winner. 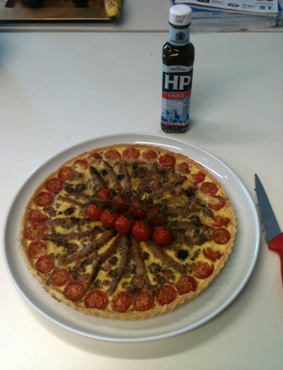 The above picture was Suzanne’s very popular full english breakfast quiche, yes that’s right, a quiche with all the ingredients of the full english in it! I believe it will go down in history and the boys here will forever love her for making it. These photos are just a snippet of the genius culinary delights served to the Leapfrogg team, the level was continuously raised every week which made it a very exciting final. 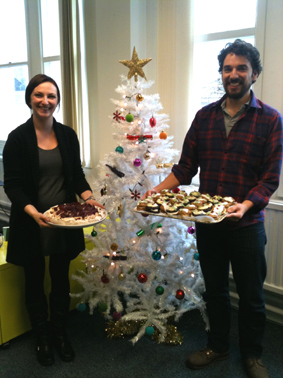 Thursday 8th of December was a tense morning, Ben against his mentor Suzanne, head to head in the bid to win Leapfrogg Masterchef 2011. To make it slightly more interesting a Christmas theme was added to spice things up, below are the sweet dishes of the final. 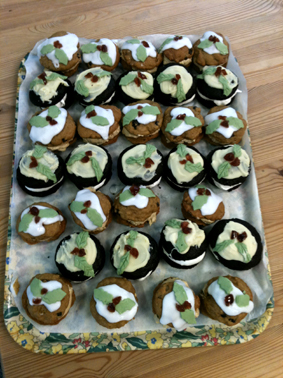 Ben made two different types of Whoopee pie, a chocolate and marshmallow and a Christmas pudding interpretation both with Christmas pud decorations……….very impressive! 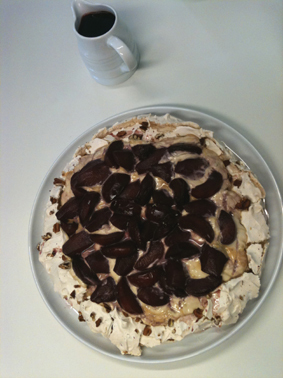 Suzanne presented us with a mulled fruit, caramel and pecan Pavlova with a mulled wine sauce……delicious! I thought it was such a tough decision as both finalists did extremely well and by the sounds coming from around the office I think everyone was in agreement. There could only be one winner though, so without further ado the winner of The Leapfrogg MasterChef 2011 was (drum roll please)……Mr. Benedict Adam. So big congratulations to Ben who won a wicked set of sharp knives for his future culinary adventures. The whole competition was brilliant and we raised £362 which we are very proud of……we do like eating after all. 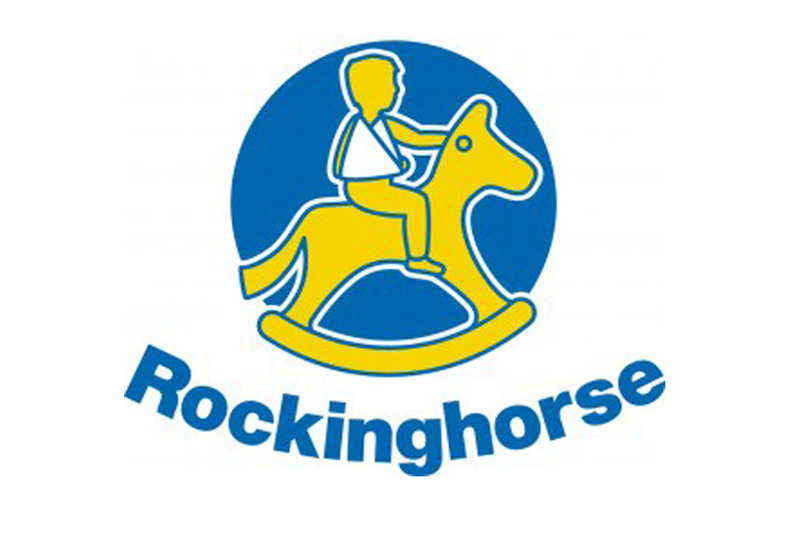 Combining what myself, Ben Potter, Lucy Freeborn and Nick Dodd raised on the Skydive in September we’ve made a total of just under £3000 for Rockinghorse, what an achievement! So that’s it for 2011’s charity fundraising but watch out for Leapfrogg’s challenges next year, who knows what we will be up to. ← Augmented Reality – the future of online retail?